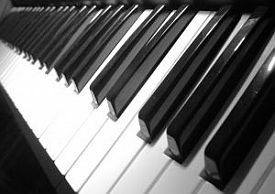 Here is my story about how I got started to play the piano and how I became a piano pedagogue. So, ready to begin I eagerly awaited the time I would start in the local music community school. But- I was told I had to play the recorder first for one year! What! What does the recorder have to do with the piano??? Finally, after one looong year I finally got to start with my piano lessons. I had the sweetest piano teacher lady. She was so supportive of me. After some time, in my teens, I won a scholarship to attend a music camp. The piano teacher there made me feel like I was the worst pianist on the planet, that I was in fact useless as a person. Until then I had absolutely no intention or interest in pursuing a career in music. After that summer I applied to, and got accepted to a music "high school" with piano as my first instrument and cello as my second. (Had to learn fast!!) And I discovered that I loved it! The years passed, and I got my sweet "revenge" some years later, when I met the piano teacher from the summer camp at the Royal conservatory, where I was now a student at the piano pedagogy department. She was surprised to see me of course- how lovely it was to be able to tell her that I was indeed a student there! Hah! That felt soo great!